Stray Dog Arts: Featured! :: Minneapolis and Bemidji combined :: The best of all worlds! Featured! :: Minneapolis and Bemidji combined :: The best of all worlds! 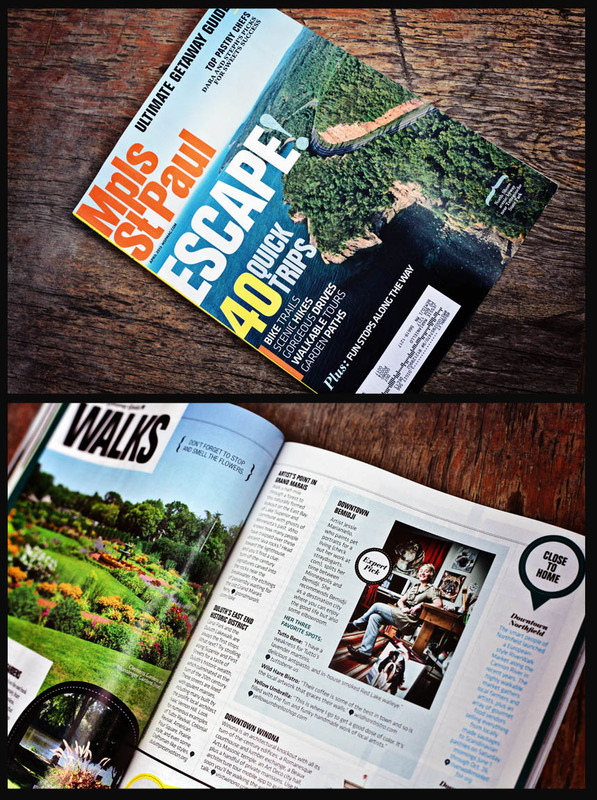 How perfect that I should be featured in an issue of the Mpls/St.Paul Magazine that's centered around the notion of ESCAPE! :) So much fun to experience both my urban and retreat worlds finding their way to the same page. Want to know my favorite places here in these northern reaches? Check out the April issue of the Mpls/St.Paul Magazine!